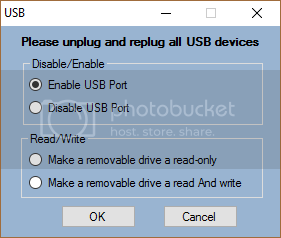 This is a simple program that Enable/Disable USB ports on a PC. A USB port is a standard cable connection interface for personal computers and consumer electronics devices. USB stands for Universal Serial Bus, an industry standard for short-distance digital data communications.